Binder clip deliver a powerful grip to hold stacks of paper in place. Assorted metallic colors are ideal for color coding. 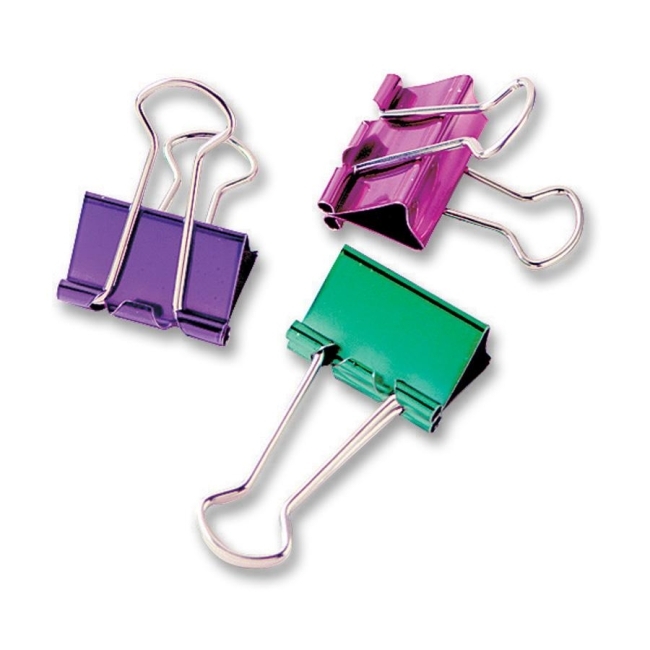 Each binder clip is made of rust resistant metal. Meets or exceeds standard for RoHS compliance for lead, mercury, bromine, chrome and cadmium.